Pool views!! 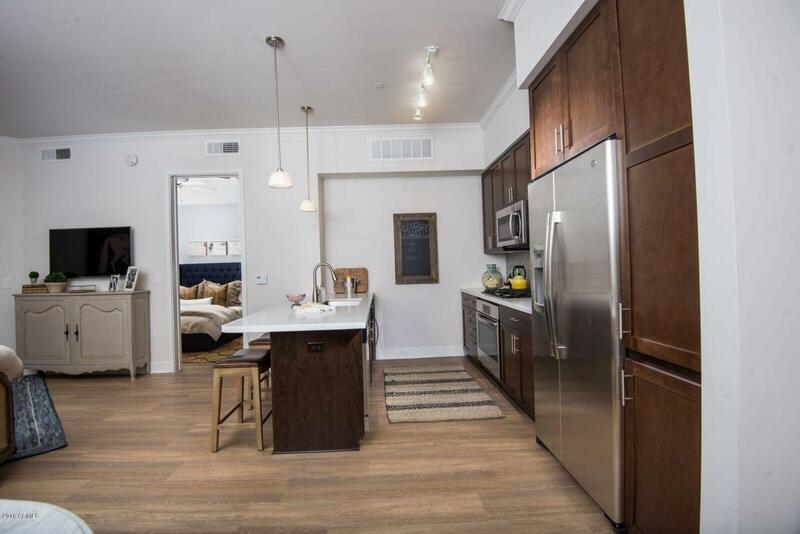 Luxurious apartment with easy access to Scottsdale Fashion Square, Old-Town Scottsdale restaurants & entertainment. Features soaring 10-foot ceilings with crown molding & 8-foot solid interior doors. Wide-plank flooring leads you to a well-appointed kitchen with spacious quartz countertops and tile backsplash, gas cooktop, electric oven & counter-depth fridge along with built-in wine refrigerator. Resort lifestyle with 24-hour resident fitness center, resort pool and high-end designer clubhouse. Shorter term leases available. Price and availability subject to change without notice.